Watch Spidey's Eyes and Web Light Up! Watch Cap's Vibranium Shield Light Up! Watch Ironman's Eyes, Arc Reactor and Repulsor Lights Up! £49.95 each or just £139.85 for all three. As the official distributors of MARVEL coins in the UK, The London Mint Office is excited to present to you The MARVEL Light Up Illuminating Coin Series! Watch Cap's Vibranium Shield Light Up, Iron Mans Eyes, Arc Reactor and Repulsor Lights Up and Spidey's Eyes and Web Light Up! The silver layered Light Up Coins are the perfect present for the superhero in your life! Limited to just 50,000 worldwide, the silver layered Light Up Coins were unveiled at the 2017 MCM Comic Con London and has attracted a huge amount of interest since. Be one of the first to get your hands on this limited edition Light Up Coins! 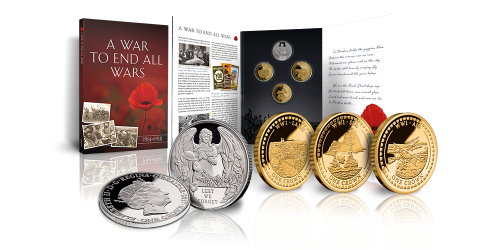 Buy the set of three coins today and save £10 off the total price. The perfect Christmas present and collectors piece all wrapped into one!